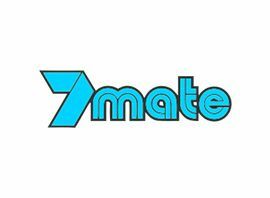 7mate is an Australian free-to-air high definition digital television multichannel, which was launched by the Seven Network on 25 September 2010. The network stated that 7mate would contain sport and regular programs aimed primarily to the "alpha male" audience (as reflected in the channel´s slogan and ident), with programming drawn from a combination of new shows, American network shows and other shows previously aired on its sister channels Seven and 7TWO. The channel replaced 7HD as the Seven Network´s only high-definition channel. The first program broadcast on 7mate was the drawn 2010 AFL Grand Final in high definition. Due to the rebroadcast of 7HD on 10 May 2016, 7mate was reduced to a standard definition broadcast only in Melbourne and Adelaide.